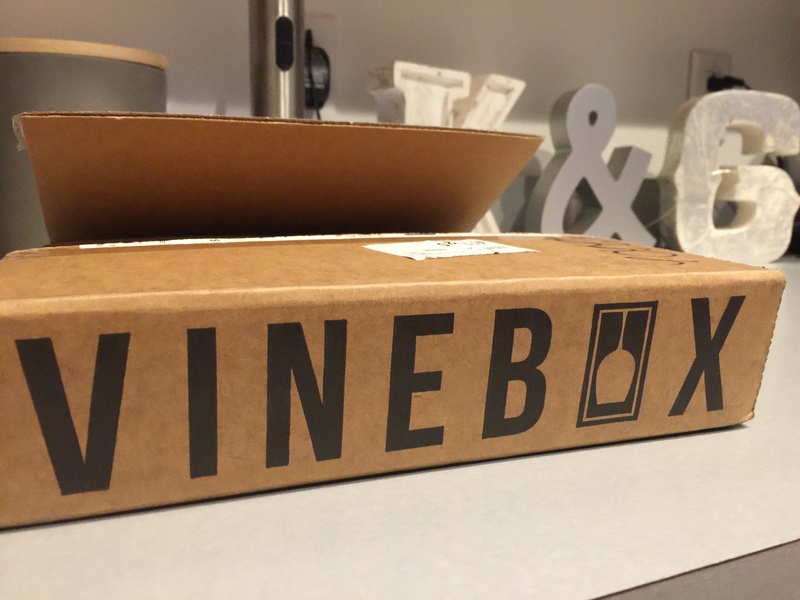 VineBox is a unlike other monthly wine clubs that deliver wine to your doorstep on a monthly basis. They focus on small batch wines and wines that are never mass produced. Highlighting the little guys is what they are all about, but they also bring you some of the most special and unique, high-quality wines from all over Europe. 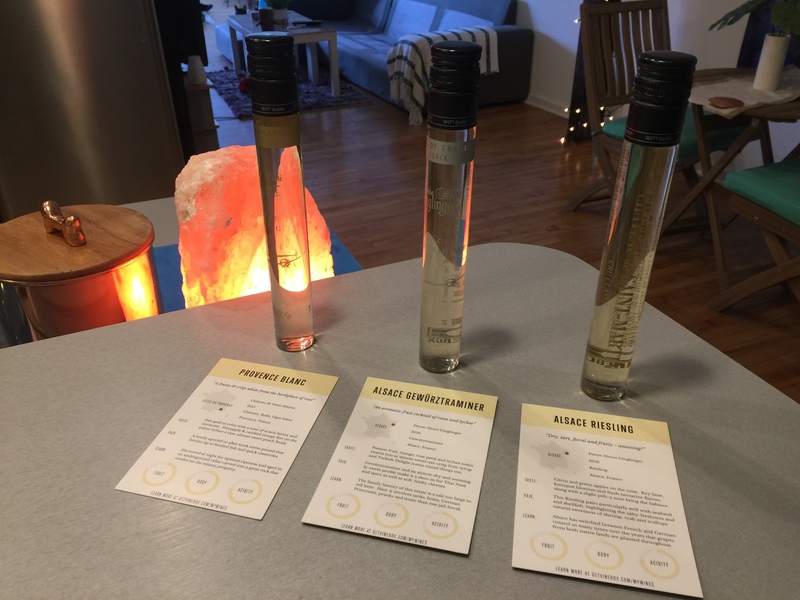 VineBox is even more special because they send you small one glass samples of their vines before you choose to buy a whole bottle. 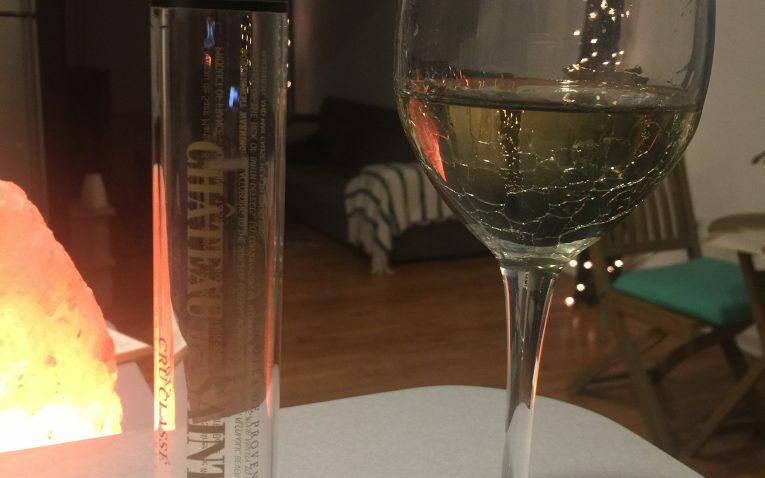 This way you are never stuck with an entire bottle of wine you are not happy with. 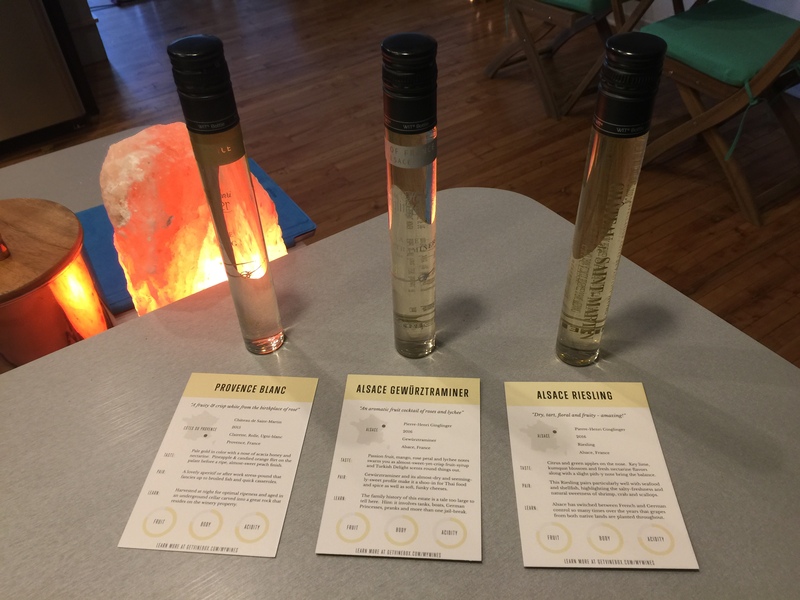 You take a short quiz to start the process and then they pair you up with the perfect wine samples to try. 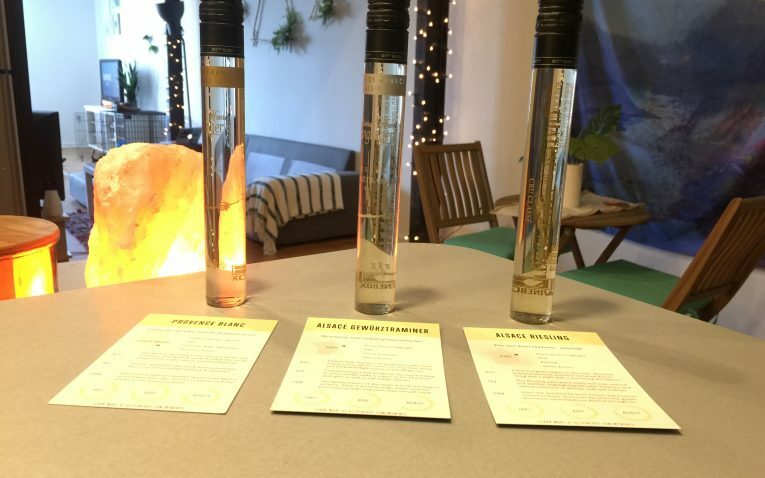 A unique wine club that ships one glass vials of some of the finest wines from Europe. Who Would VineBox Most Appeal To? 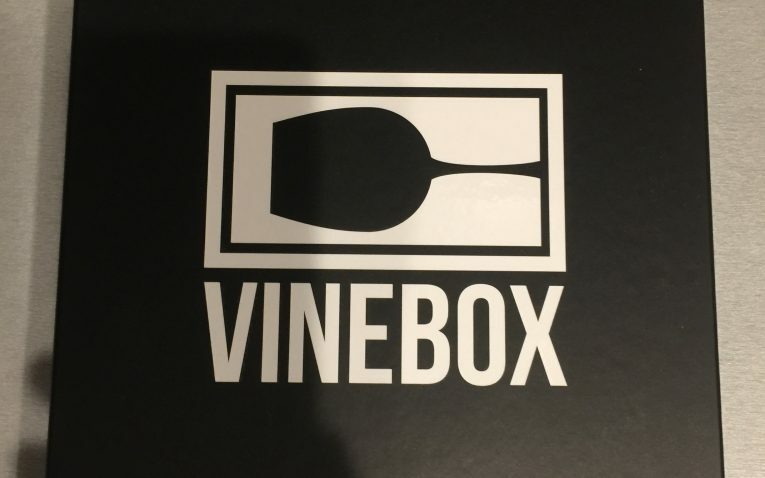 VineBox features wines made from all over the world from small wineries that never mass produced wines. 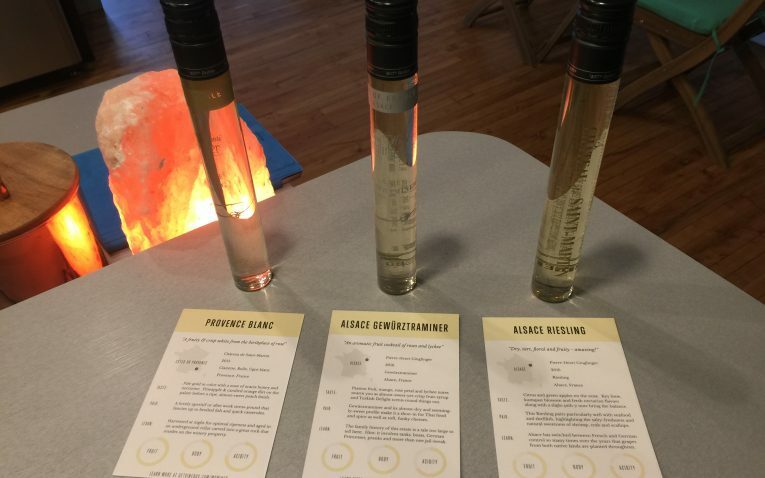 Wines are hand selected by their designated team that focus on selecting wines of high-quality, affordability, and uniqueness. They only have wines that come from europe, but they are working on expanding their wine base all well. Wines generally come from Germany, France, Spain, and Italy. 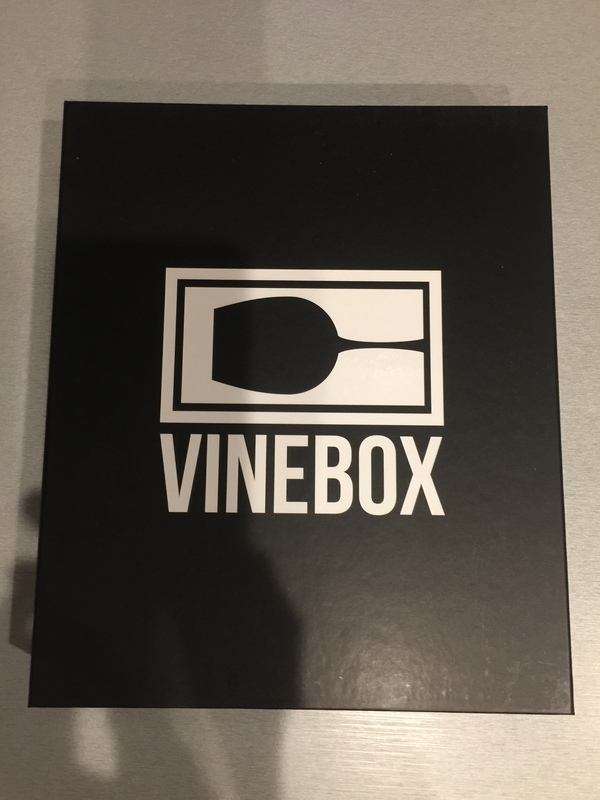 They do not seem to have sparkling wines, champagne, or vintage, rare, or collectible wines, but this is not what VineBox is about anyways. When choosing what wines you would like to receive in your box, you can choose all whites, all reds,or a mixture of both. You can also choose you flavor profile and preferences. You have the option to choose between Classic, Adventurous, or Newcomer. Wines are always chosen for you, but the quiz will help them match you up the the best wines for your taste. 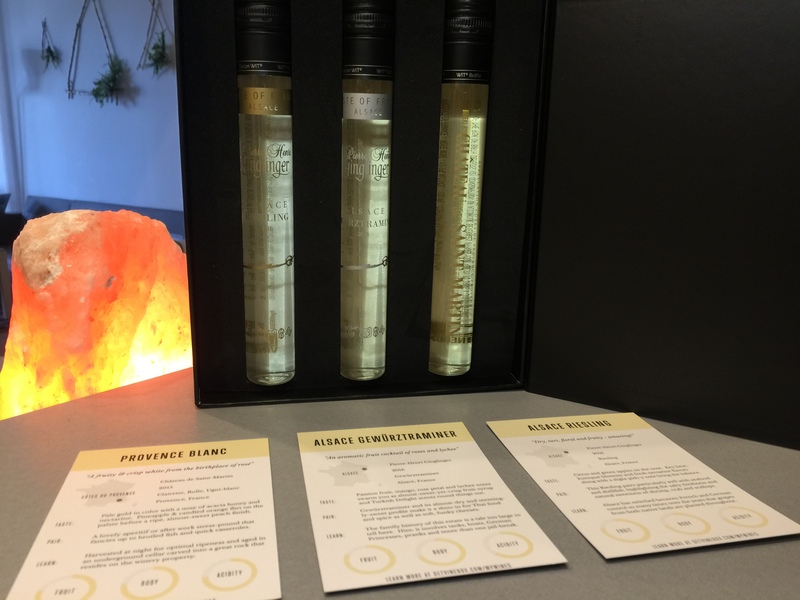 I enjoyed all of the three wines I received in my box and I can honestly say they were some of my favorite wines I have ever tried. In the other wines clubs I have tried, there was at least always a wine or two that I did not like. However, with VineBox the taste and quality was spot on. 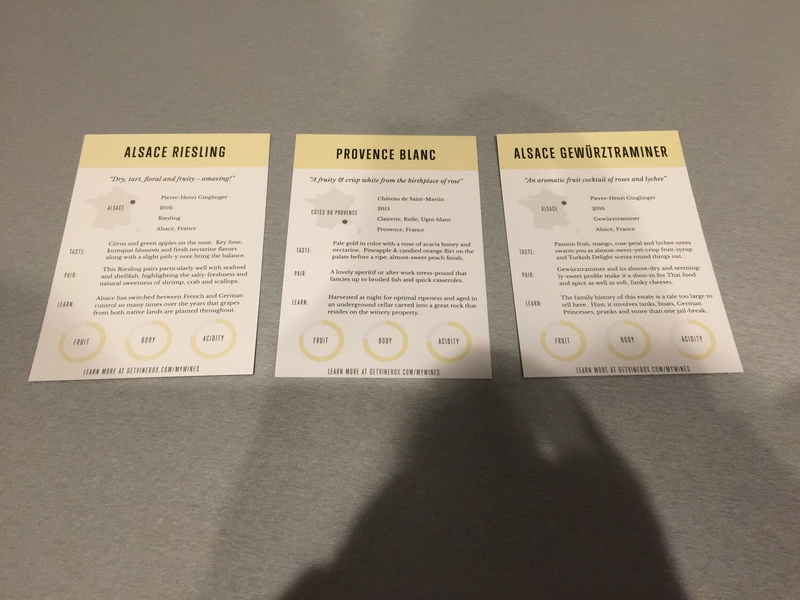 They do not have different wine clubs you can sign up for like many other wine clubs do, however, you can choose between a white wine, red wine, or a mixture box option. If you are looking for more options or specialized club levels, this may not be the wine club for you. When you compare these prices to other memberships, they are quite similar, although slightly more, but you are getting entire multiple bottles of wine with other clubs. 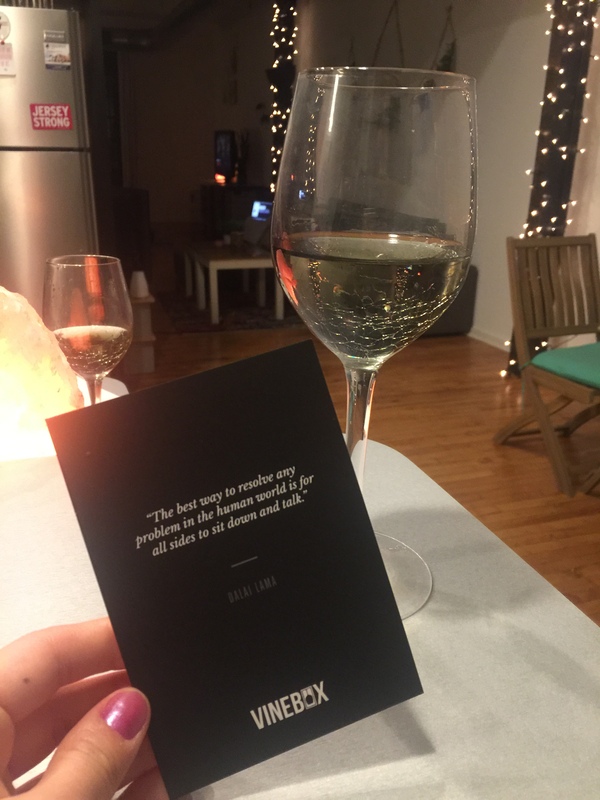 VineBox is only giving you a single glass so you are paying significantly more for one glass of wine than you are paying for a whole bottle of wine from another wine club. There are also no signup bonuses, there is no discount on future wine purchases, and no membership benefits. You prepay in one month, three month or yearly subscriptions for your membership, which auto-renew until you cancel. 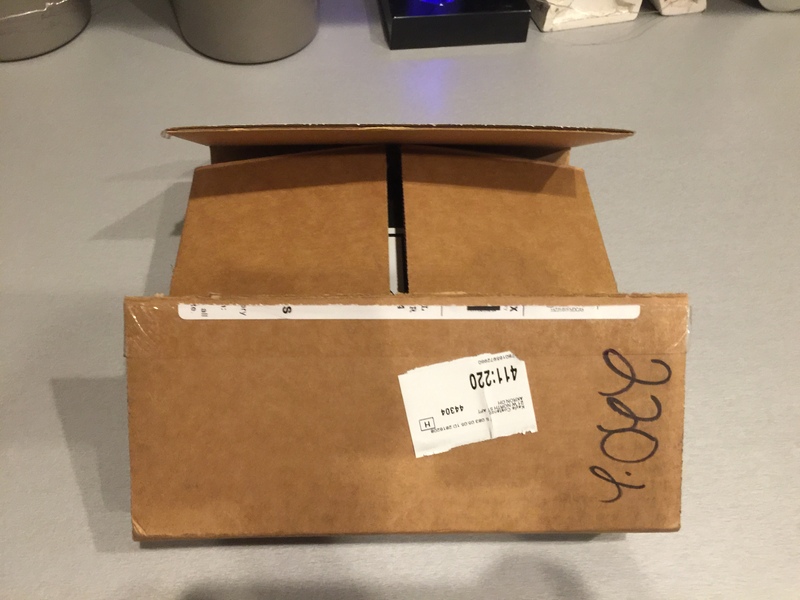 Shipments are still monthly, however. 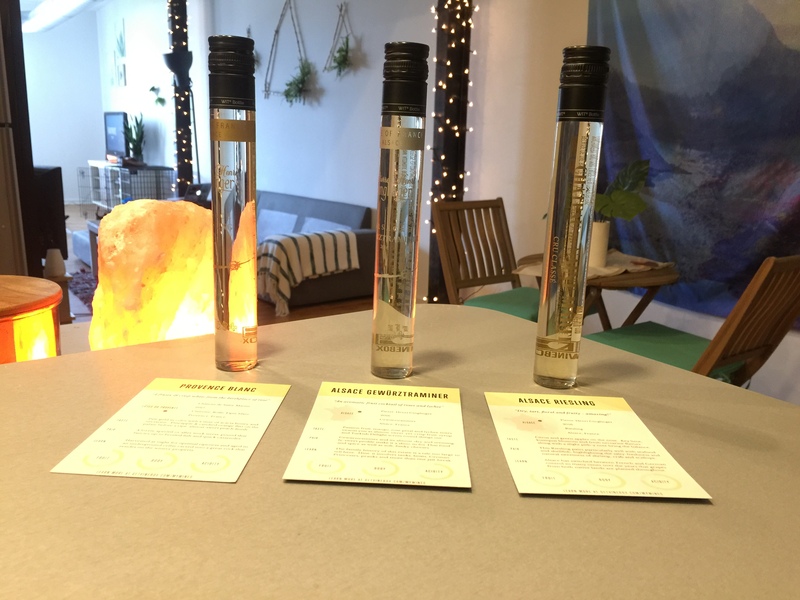 Memberships consist of the 1, 3, or 12 month plan options we discussed above – however wines are shipped monthly and memberships renew automatically until you cancel – with either 3 or 6 single glasses of wine, with the choice of all red, whites, or a mixture. 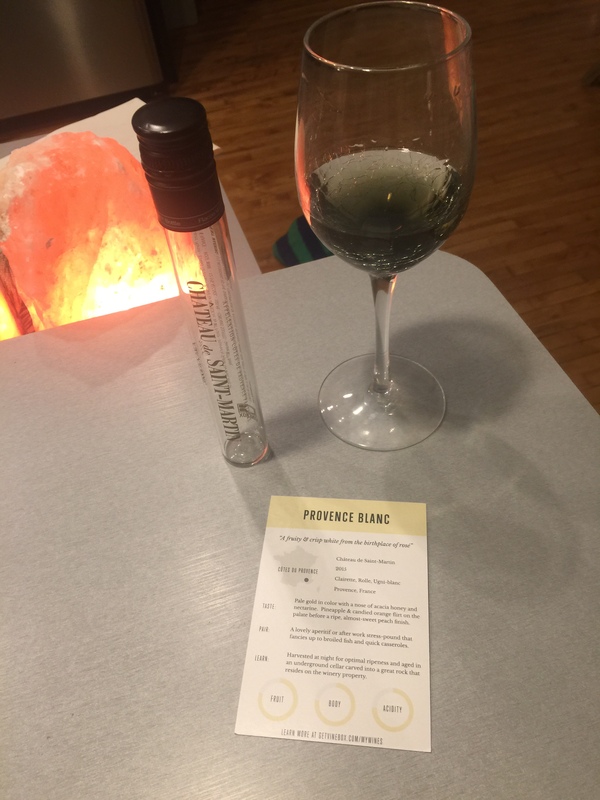 They do not have a personal wine consultant, but you do get to take a quiz in the beginning that allows their team to match you up with wines according to what you are looking for – Adventurous, Classic, or Newcomer. There are no discounts of future orders, but you can go into your account to order similar wines you loved from your shipment. You can choose to purchase a prepaid membership (three or 12 months) to save money on your subscription – however all subscriptions automatically renew until you cancel. You can cancel your VineBox membership at anytime without cancellation fees from your account settings. You also have the ability to go into your account and skip a month you don’t want a shipment, like if you will be away for a vacation or just do not feel like getting a shipment that month. I could not locate anything on their website about a quality guarantee, so I can only assume that they do not have a policy for this in place. 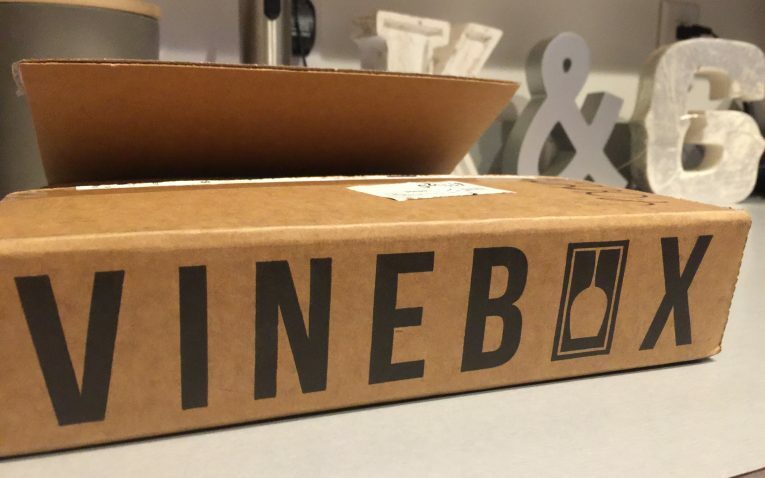 VineBox has my favorite monthly wine club packaging. The soft leather-like black box it comes in is fun, sleek, and elegant. It makes you feel like you are really getting something special and exclusive. 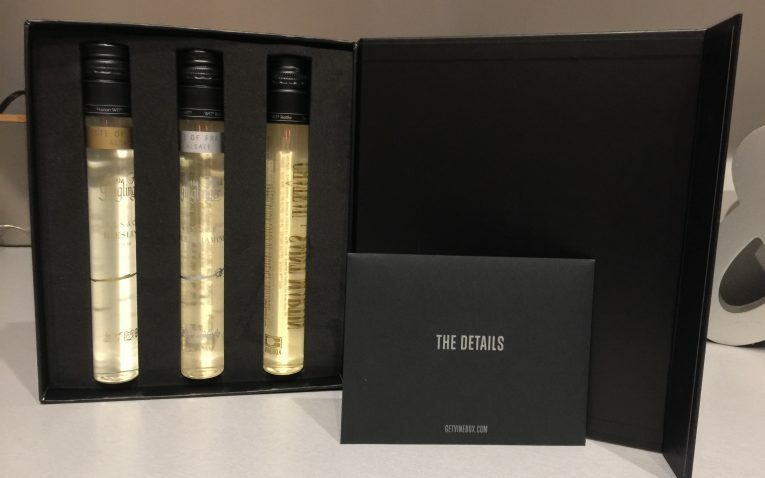 When you open the box, it has your tubes of wine cradled in a black foam holder so your wines are protected from any damage. 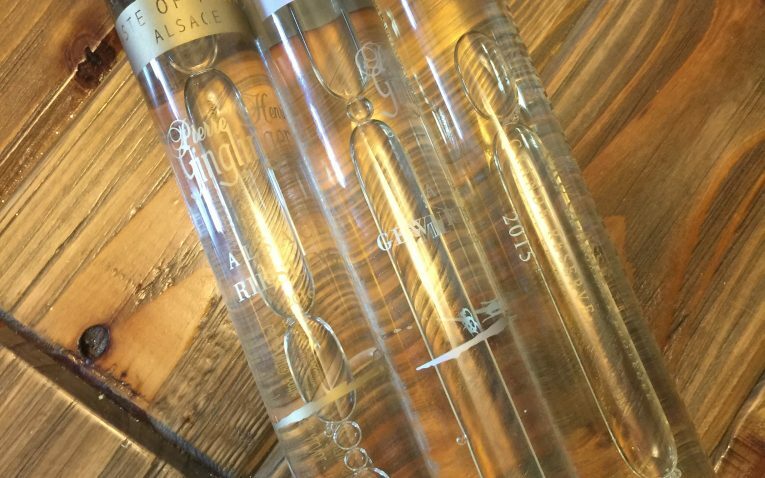 The tubes have the wine labels on them so you know what you will be drinking and a secure screw off lid. Shopping is fast, but not as fast as some other wine clubs. 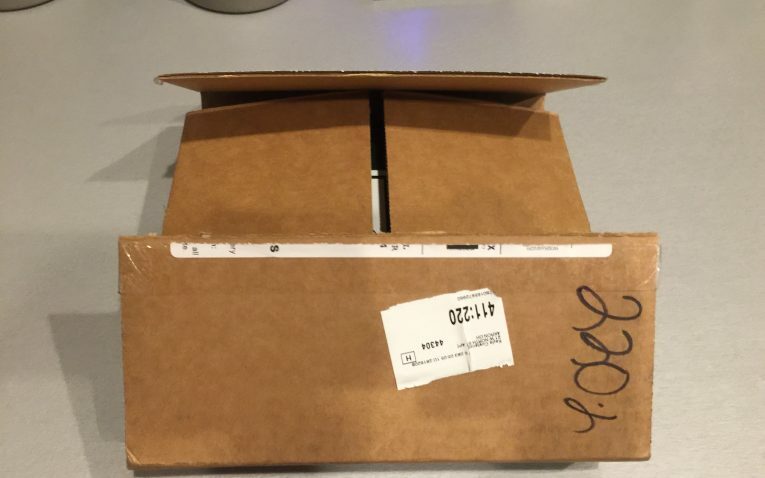 They say your shipment will be sent out within 5 days of your purchase and then it will take another couple of days to be delivered to your home. In total, it will be about a week. Some other wines clubs will ship the next day and you will have your order in the same week – only a few days after you order. 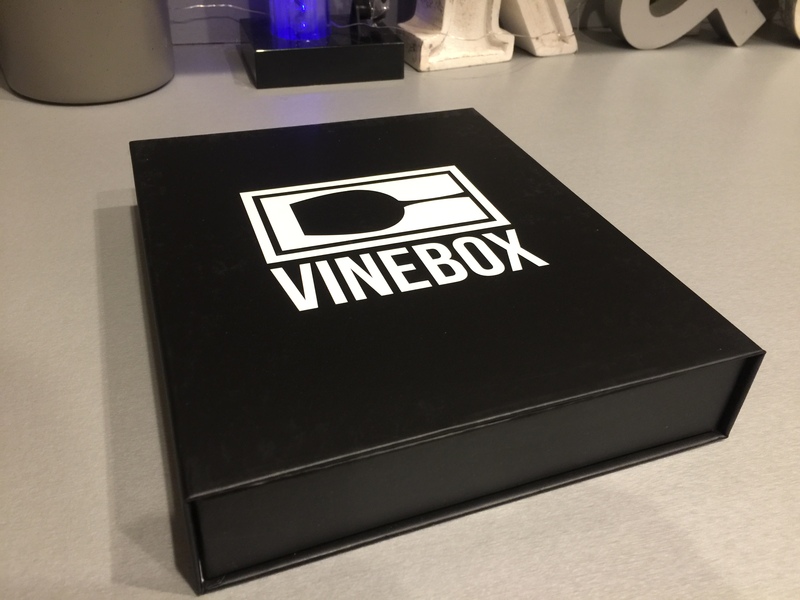 VineBox does have gifting options available. You have 6 different gift options to choose from. 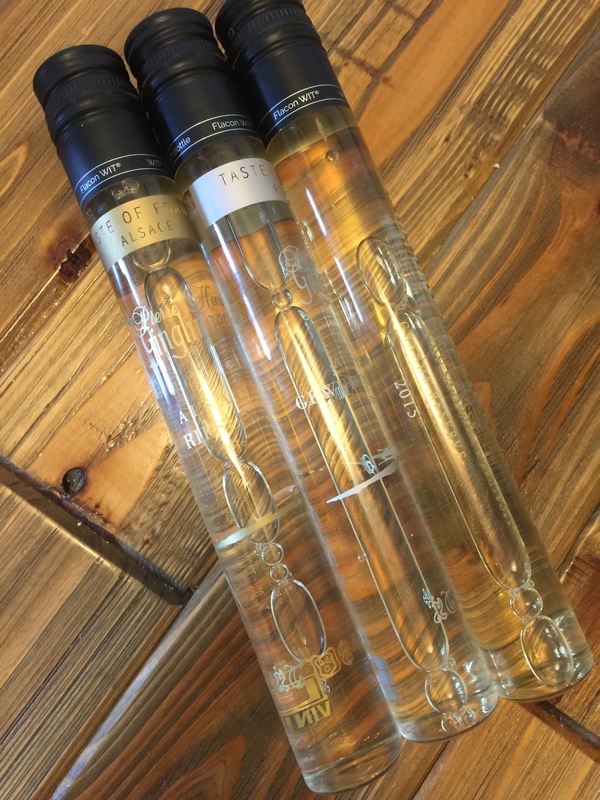 You can choose a 3 month, 6 month, or 1 year subscription to their club with either 3 glasses or 6 glasses per shipment. 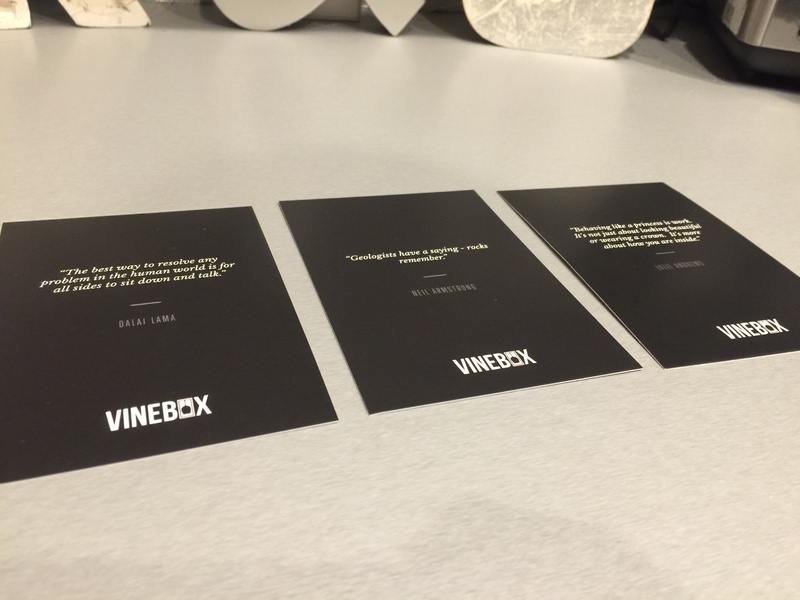 VineBox will send your recipient an email voucher with the gift option you have them and they can set up their wine preferences as they wish. A personalized note can also be sent with the voucher as well. This is the extent of the gift option though – there are no special occasion boxes, gift baskets, special wrapping, etc. 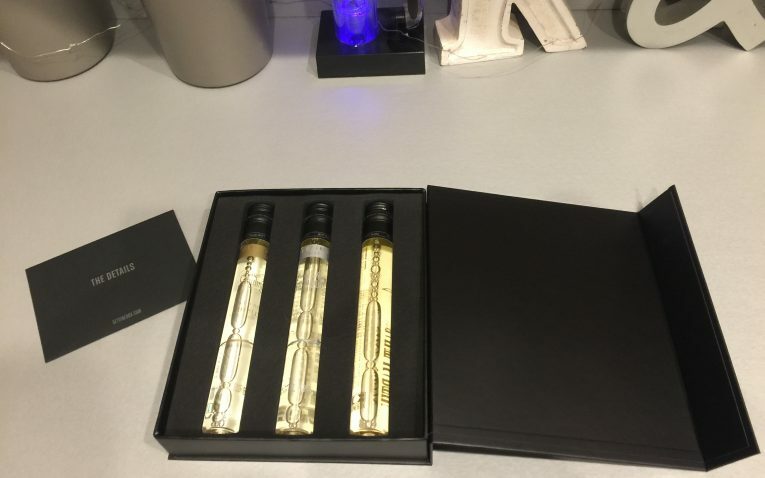 You do have the option to send this as a corporate gift though. All you have to do is send an email to their support team and they will take you through the process of setting up a custom order for your specific needs. Surprisingly, VineBox does not have a live chat on their website, which would be a really great feature. You can contact them by email or through one of their social media pages. They do not appear to have a phone number, which is definitely a drawback and may be a major issue for some people. This club will most appeal to those looking to not commit to full bottles of wine, like most wine clubs will send you. 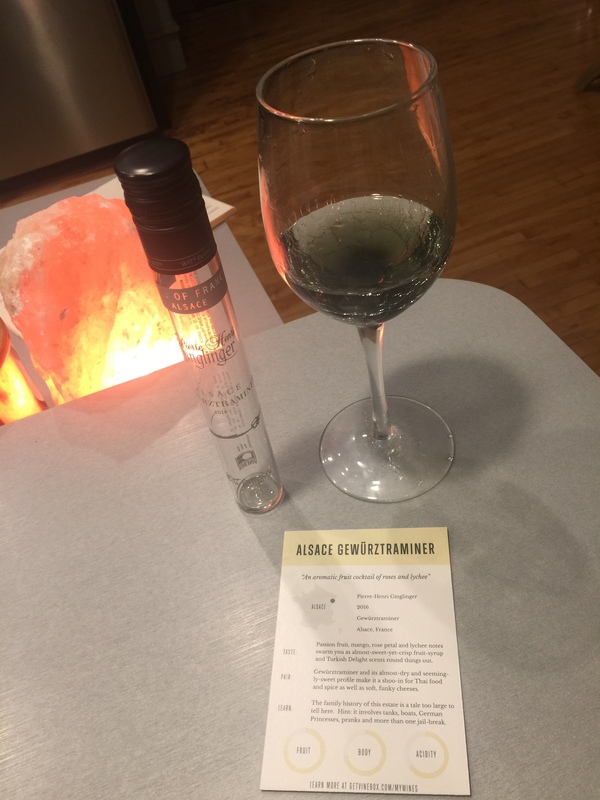 It allows you to test a single glass before you go ahead and buy the entire bottle of wine, which is a unique and completely different concept for a wine club. 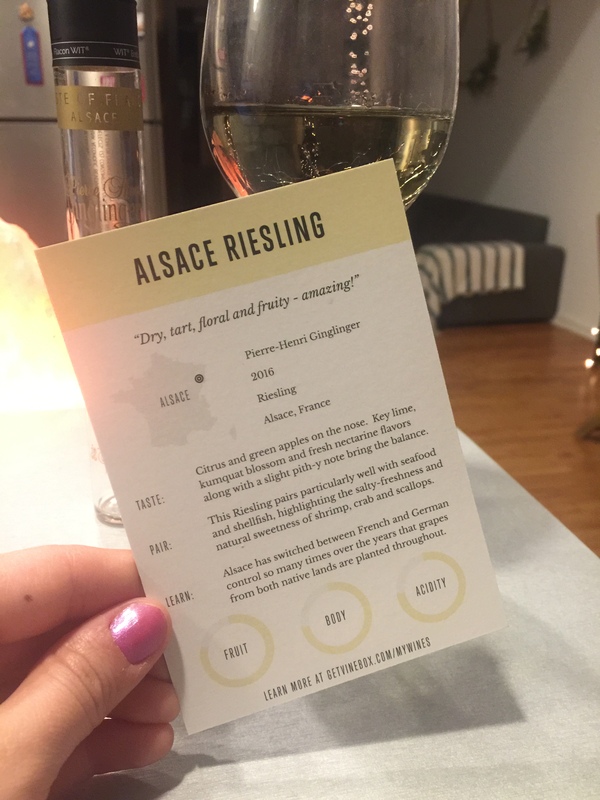 I personally think this wine club is geared more towards the younger generations, with its minimalist, fun, and less stuffy feeling. 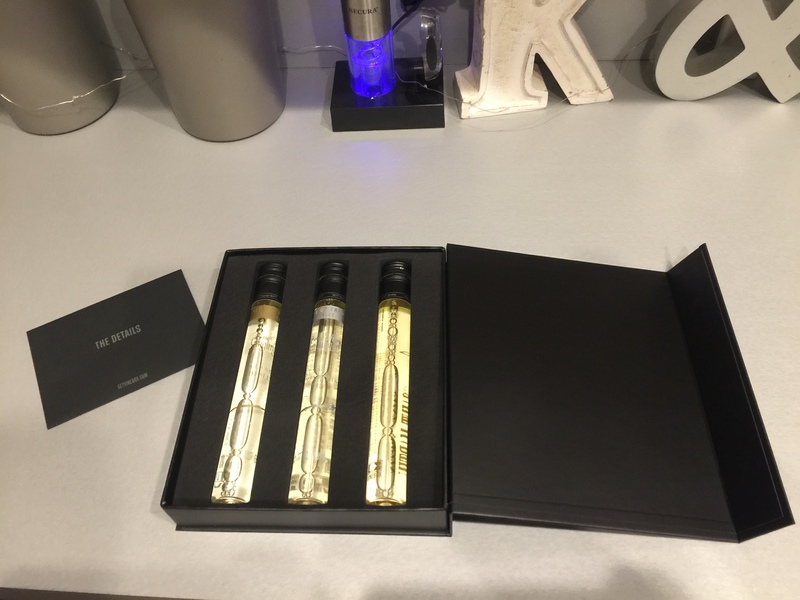 I was extremely impressed and pleased by the wines I got in my VineBox. Two of the wines made it to the list of my absolute favorite wines I have ever had. 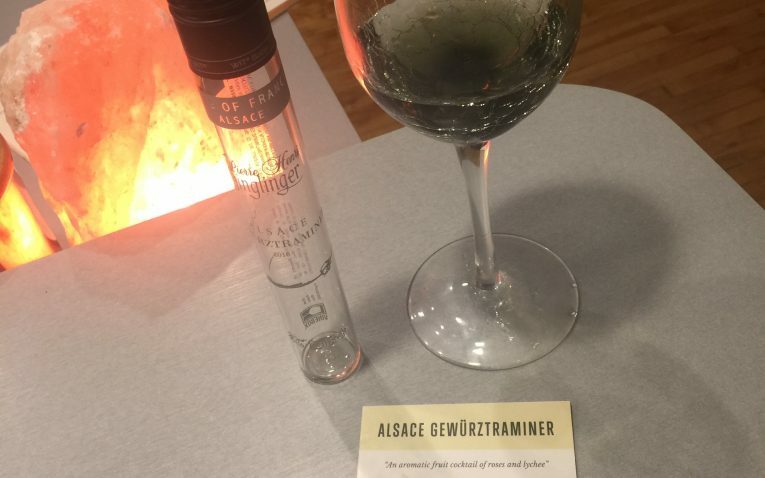 The Alsace Gewurztraminer 2016 from Alsace, France (Pierre-Henri Ginglinger) was my favorite of the bunch and probably my top 3 favorite wine of all time. 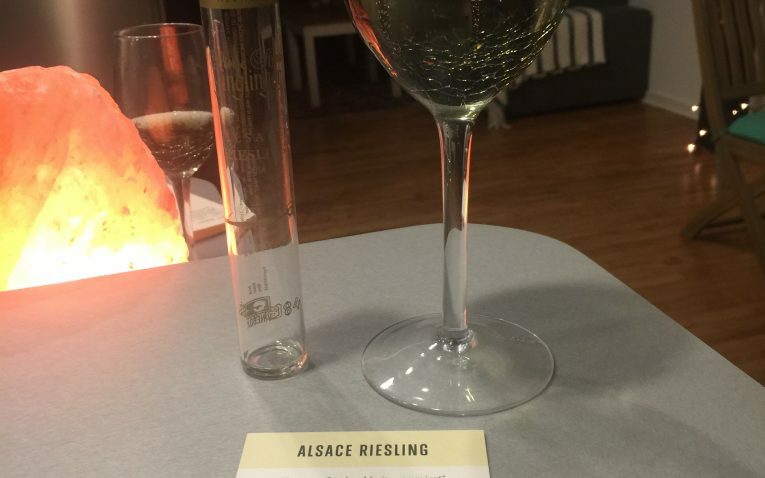 From the same winery was the Alsace Riesling 2016, which was equally as delicious and full of body and flavor as the first one, but with a totally different taste profile. 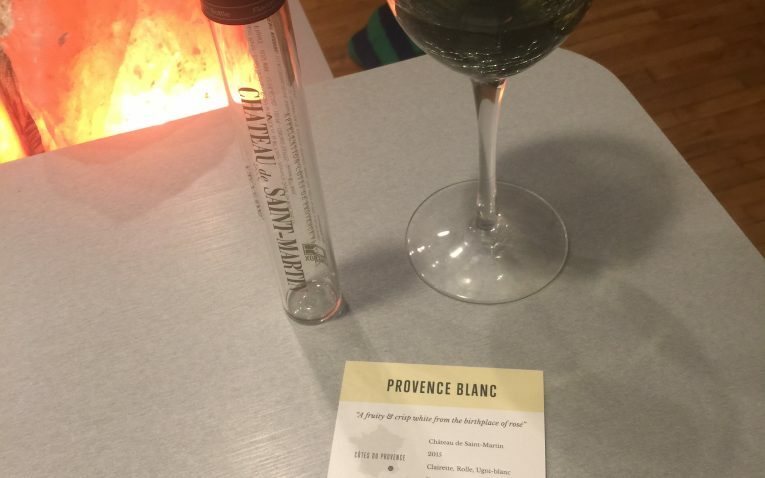 The last wine was the Provence Blanc 2016 from Château de Saint-Martin. It was my least favorite of the group, but it was still incredibly good and of such fantastic quality. 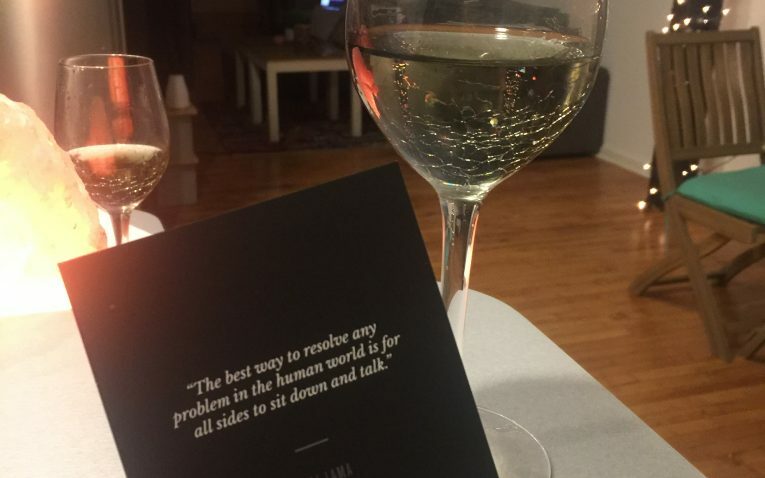 Along with the wines, you also get mini note cards on the glasses of wine as well. They tell you the wine names, where they come from, the name of the specific vineyard. 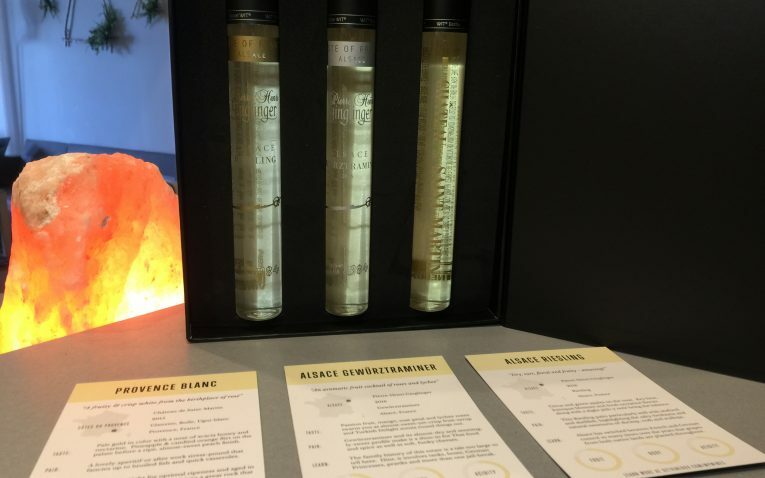 It also has a section that tells you the taste profile of the wine, what to pair the wine with, and how the wine is grown or some information about the winery itself. 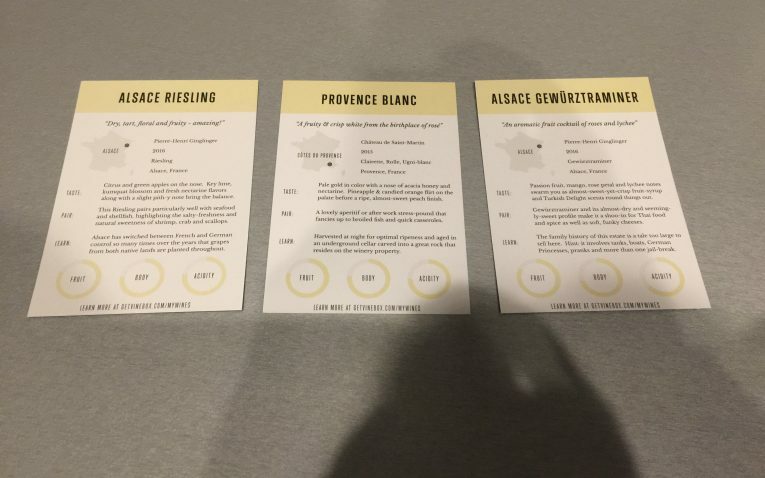 At the bottom of the card they also have a little graph showing you want the level of acidity, fruit, and body of the wine is. 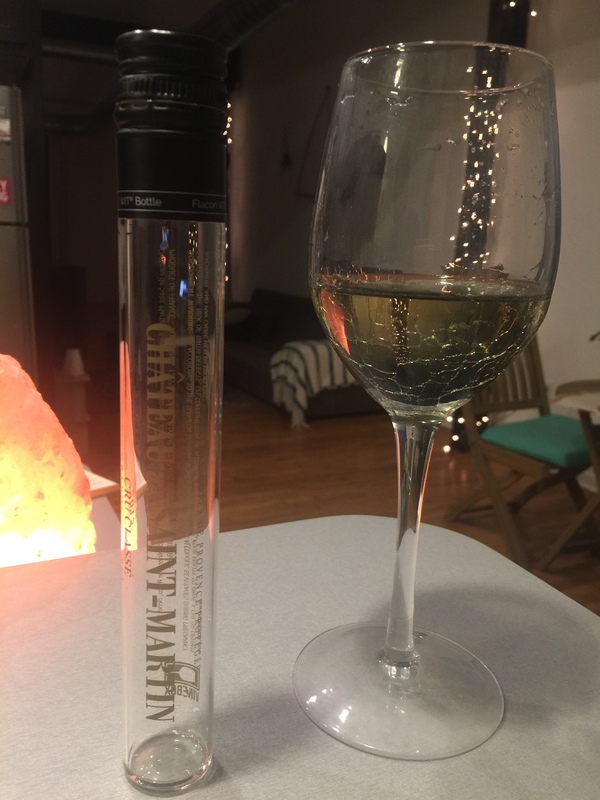 I love the single glass concept of VineBox that allows you to take your wine for a test run of sorts before you commit to buying a whole bottle. It makes it fun and convenient. It also has the potential to save you some money over time. 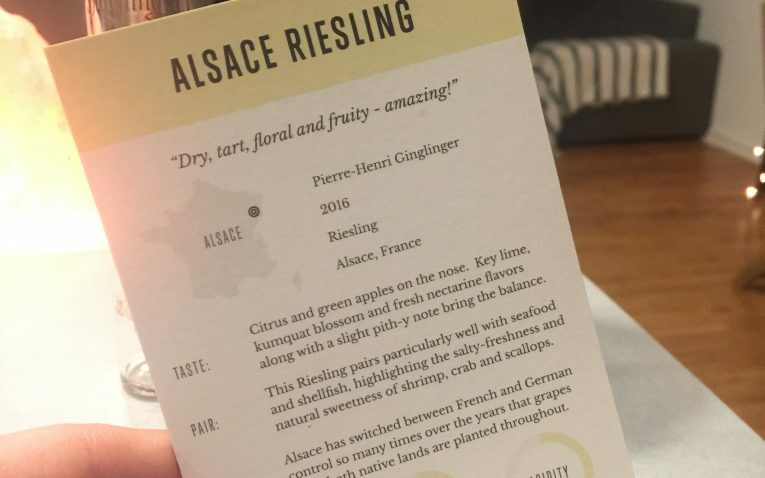 Taking the little wine personality quiz in the beginning can help you be matched up with wines that will fit your preferences a little better and makes up for the fact there is no wine consultant. 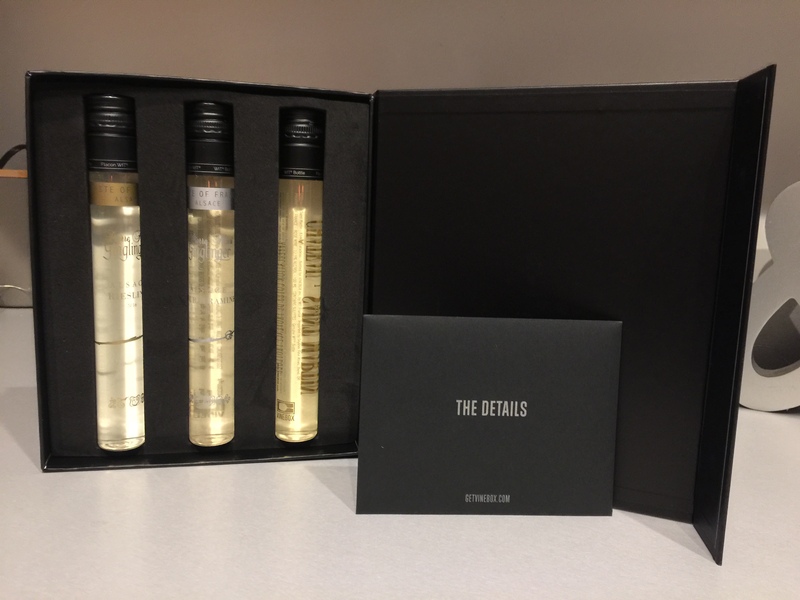 Their memberships are simple and flexible with your choice of 3 or 6 glasses of wine per box, if you want all reds, all whites, or a combination, and you ability to go from 1, 3, or 12 month memberships. You can also pause a shipment for a month you do not want one and you can cancel your membership at any time. I don’t like the fact they are quite expensive for only getting single glasses of wine – it in not the most budget friendly option. You also don’t get any membership perks and there is no discount on future orders and re-ordered wines, which is a pretty big drawback. Most wine clubs have at least some discount options on wine re-orders. You do have to keep in mind that they are bringing you high end wines from European countries that are essentially impossible to find in the United States, though. This may justify the price for some people. They also do not have a money back guarantee policy, no phone number to call, and there is not live chat, making it a little hard for people to contact them through different avenues. 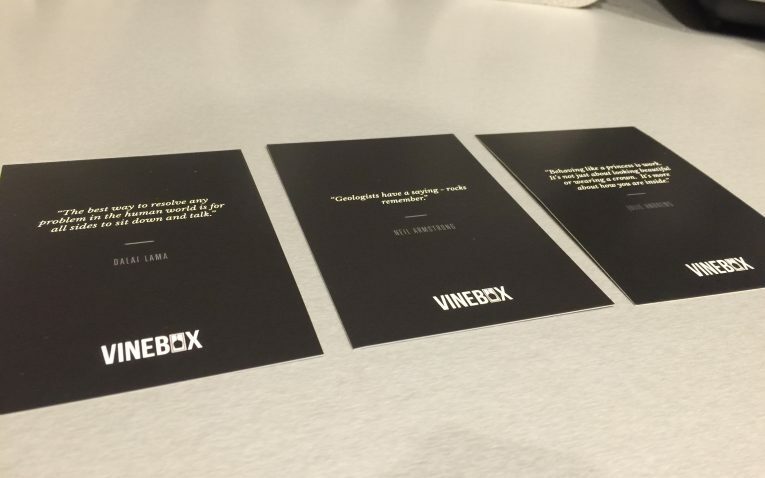 VineBox has gotten a lot of attention in the press and on Television, however. They have been featured on Business Insider, Wine Spectator, Glamor, Fashion Times. 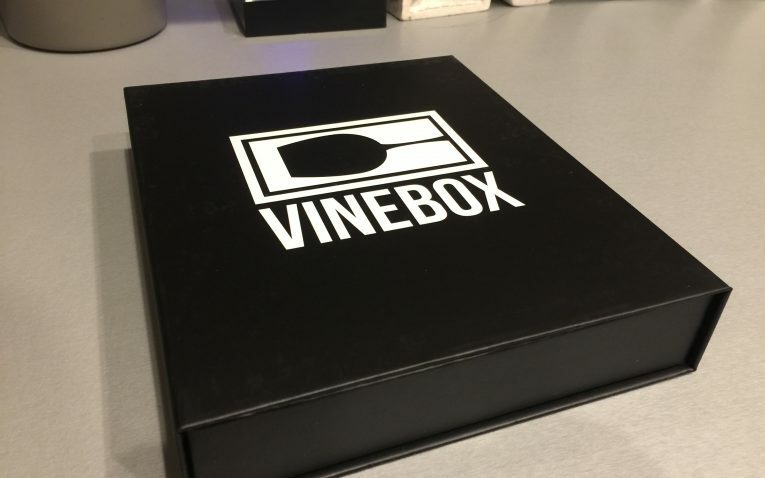 Overall, VineBox is a great wine club service that is committed to bringing their customer high quality European wines that they normally would never find in the US. 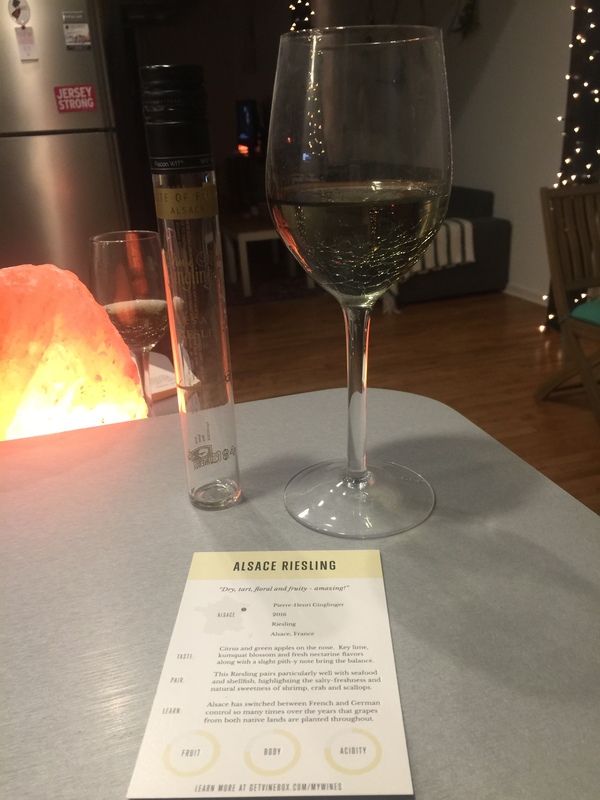 The single glass vile also allows you to test out the wine before you commit to buying an entire bottle of the wine.this is a great service if you want something really unique and don’t want the typical wine club experience. However if a lot of membership perks, future discounted wines, and different membership levels mean a lot to you in a wine club, there are definitely better options available. 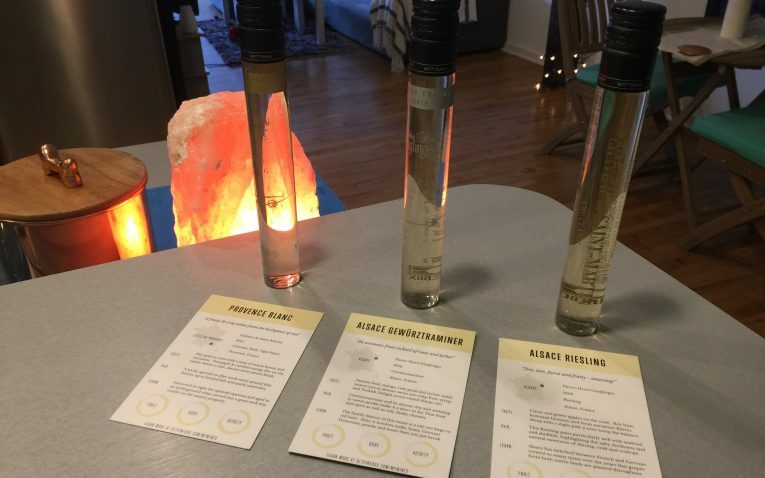 Unique, High-Quality Wine Club that ships Glasses of Wine Rather than Bottles.